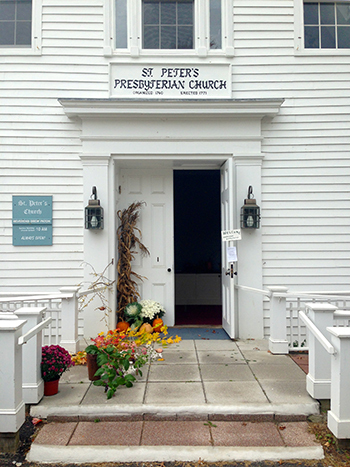 St. Peter’s is a progressive, country church – firmly rooted in its local community and rural context in the Berkshire foothills; and deeply concerned with issues of justice and social welfare. Organized in 1760, St. Peter’s has been at the hub and heart of Spencertown for well over two centuries. Today St. Peter’s is a vibrant and inclusive church – committed to service, eager to engage the difficult questions, and determined to extend the radical welcome and love of Jesus Christ. We are a theologically, politically, socio-economically, and culturally diverse community. We are young and old. We are rich and poor. We are farmers, bankers, artists, therapists, educators, caregivers, activists, homemakers and grandparents. Some of us have been here for generations, others are brand new to the area. The paths which have brought us here are many and varied, but God has called us all together, and our lives are richer because of it. The doors of our beautiful, historic building are literally always open, and that is no accident. Our Worship and Sunday School are at 10:00 am Sunday mornings.